Hillmer, Norman. "Canadian Transportation Agency". The Canadian Encyclopedia, 16 December 2013, Historica Canada. https://www.thecanadianencyclopedia.ca/en/article/canadian-transportation-agency. Accessed 19 April 2019. The Canadian Transportation Agency, 1996, replaced the National Transportation Agency of Canada and is responsible for the economic regulation of carriers and modes of TRANSPORTATION under federal jurisdiction. The Canadian Transportation Agency, 1996, replaced the National Transportation Agency of Canada and is responsible for the economic regulation of carriers and modes of TRANSPORTATION under federal jurisdiction. That Agency, in turn, replaced the Canadian Transport Commission, which existed for 20 years under the previous National Transportation Act, 1967. The Agency is an administrative and quasi-judicial body, and has all the powers, rights and privileges of a superior court in Canada with respect to matters within its jurisdiction. 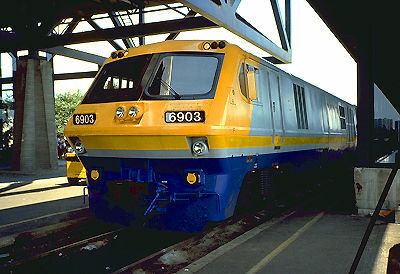 The Agency's purview includes the issuance of licences to air carriers and railways, dispute-resolution power over various air, rail and marine transportation rate and service matters, the determination of the annual maximum rate for western grain movements and the removal of undue obstacles to travellers with disabilities. The CTA has a chair, vice-chair, up to 5 full-time members and 3 part-time members. It has a Rail and Marine Transportation and Air and Accessible Transportation Branch as well as 2 other branches giving administrative support and legal and communication services.